&apos;THE DAILY SHOW WITH JON STEWART&apos; ... WITH JOHN OLIVER. Jon Stewart&apos;s taking the summer off to direct a movie. His anchor-desk replacement? 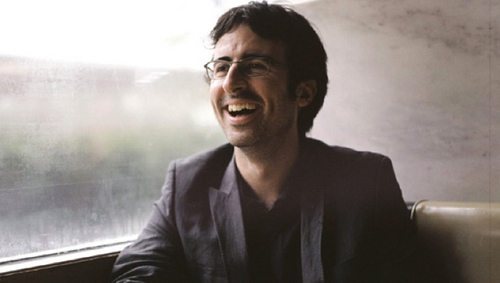 "Senior British Correspondent" John Oliver. * Oliver&apos;s no stranger to hosting a comedy news show. Exhibit A: His weekly satiric podcast, The Bugle. &apos;GO ABOUT YOUR DAILY LIVES AS NORMAL.&apos; Chicago&apos;s Streets and San chief gives the all-clear after only the 21st time since 1886 Chicago&apos;s seen more than 10 inches of snow in a single day. * Chicago&apos;s bike lanes have their own snow-removal teams. * Flow chart designed to help win any argument over climate change. &apos;BOY SCOUTS HAVE NO ONE FAMOUS TO PLAY AT THEIR JAMBOREE BECAUSE THEY KICK OUT GAY KIDS.&apos; Dana Liebelson writes in Mother Jones: "This is the first year ... the Boy Scouts have been without any entertainment because of the ban." * Chicago&apos;s mysterious Twitter riddler, Marty Rudolf of Chicago. THE SEQUESTER&apos;S WORKING FOR SOME OF US. Despite the gloom that&apos;s descended on the federal budget, the Dow closed yesterday a record high. Will it be remembered as "the day investors ignored the boy who cried wolf"? * Reasons the Dow&apos;s rally may feel empty. GOOD NEWS FOR THE SWISS ARMY. Over flight attendants&apos; objections, pocket knives will be allowed on U.S. airlines for the first time since 9/11. * Blaming sequester, White House cancels tours. * Obama dials down sequesteria. * In new bio, Fox News chief calls Obama "lazy," misattributing the word to Obama himself. RETURN OF THE PRINCESS. 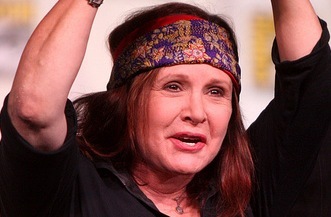 Carrie Fisher reveals she&apos;ll return as Leia Organa in the new Star Wars movies. * Harrison Ford set for "Anchorman 2." FACEBOOK OVERHAUL. A makeover to be announced tomorrow reportedly will include bigger photos -- and bigger ads. * Study finds only about a third of your friends see typical Facebook post. * Chicago cops warn of cell phone store robberies. ANOTHER EXAMPLE OF WHY TEXT SHOULD BE TEXT. It would&apos;ve prevented embarrassing designs like this one. * Supermarket magazine cover-up: Guns OK, breasts not so much. * A new kind of newspaper subscription: Pay for Sunday print Tribune and online membership, get a tablet as part of the deal. THIS WILL LITERALLY GENERATE COMMENTS BELOW THIS BLOG POST. The informal definition of "literally" -- the one that means not literally -- is creeping into dictionaries. * Soundtrack for creation of this post: Latest issue of The Bugle.